The question isn’t if something is real, but how something is real. 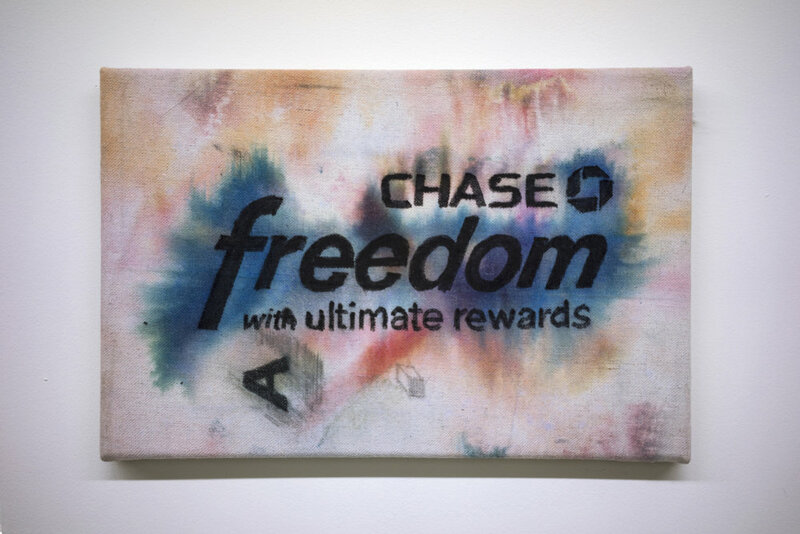 For this exhibition, Leonardo Kaplan is presenting a new series of canvases titled “Chase Freedom.” The images replicate institutional forms, applications for services and official notices from the city of Chicago. 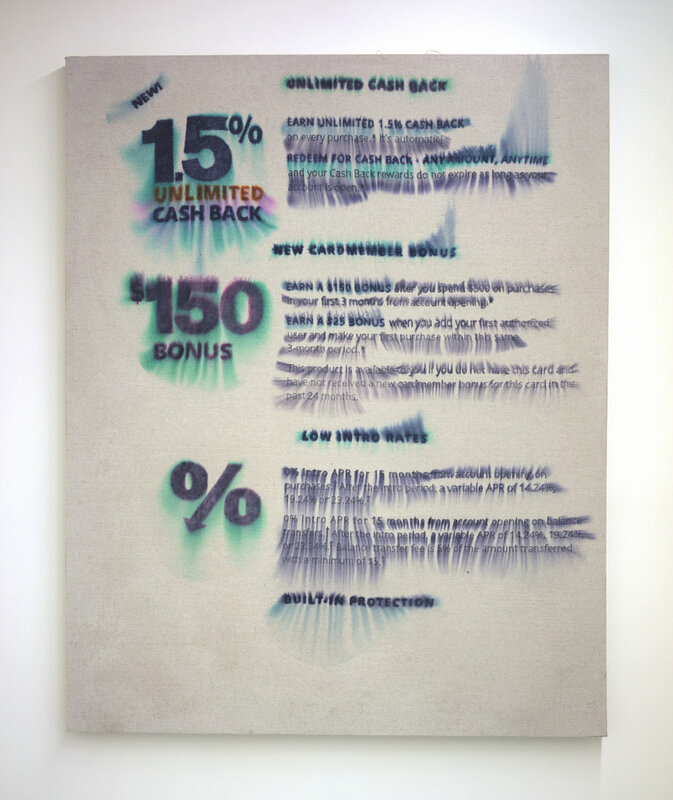 Kaplan’s canvases are manipulated with household cleaning materials, over-the-counter hair products, and other conventional chemicals to evoke narcotic, diluted, and stained effects. These works are the materialization of systems of power that invisibly dominate the administrative regimens of our lives, systems like finance and legality. Through a distorted lens we reconsider the actual aesthetics and semantic nature of these systems, their assigned structuring, meaning and accountability. Questioning the scope, ethics, and metrics of language, its capacity to operate our reality, Kaplan’s paintings underscore the gravity of how we believe in systems and how value is reshaped, counterfeited, and molded to our perception. Leonardo Kaplan is a working artist in Chicago Il. He has exhibited in Chicago with New Capital Projects and The Graham Foundation, in Berlin at the Freies Museum, and in Miami at the NADA Art Fair with ACRE projects. He has co-directed two artist run spaces, The Hills Esthetic Center and BOYFRIENDS, and currently works for the ACRE Residency.